Sony: PS3 Moving Towards "The Family Market"
Sony Europe CEO Jim Ryan talks about the PS3's pricing and its new family friendly direction. "If you look back at the history on PS1, PS2 the vast majority of the business that we did on both those platforms was done at the sub Â£129 price points," said Ryan in an interview with Official PlayStation Magazine. "Now we've only got to Â£199 in the UK a couple of month back so you can see there's still a lot of PS3's potentially to be sold." That sounds about right. The PSOne, the smaller and cheaper variant of the original PlayStation released at the same time as the PS2, was the best-selling incarnation of the console. The PS2 is still being shifted in substantial quantities over a decade after its original release. Both consoles saw an increase in family friendly, "casual" titles as well as significant price drops towards the end of their life spans. 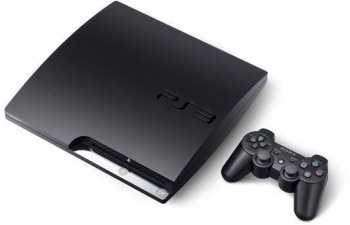 It's likely the PS3 will follow suit, but Ryan claims the new direction won't come at the expense of core gamers. "I think you'll see us taking the console more towards a slightly younger demographic," he noted. "More family market. The core gamer will absolutely not be neglected. There's going to be tons of great stuff for the core gamer but from our own studio, third parties there's some quite interesting stuff happening in a number of areas which would allow us to open up a market that we accessed pretty successfully on both PS1 and PS3 but haven't yet got to on PS3."